The go-to resource for planning your yoga retreats & holidays. Find all you need to know about destinations and take your practice to the next level. If you haven’t been to Thailand, you’re definitely missing out. It’s one of the hottest travel destinations in the world and a top 5 for yoga vacations – simply a place any yogi should visit. What’s not to love about this jewel in Southeast Asia? People are kind, the beaches are stunning, the weather is nice, and it’s still fairly inexpensive. All this, combined with its chilled vibes and high spiritual energy, create a paradise for a yoga retreat in Thailand. Perhaps it’s not a coincidence that Thailand looks like a blooming flower on the map, a flower that’s flourishing right in front of the eyes of all the world! What makes Thailand a great location for a yoga holiday? 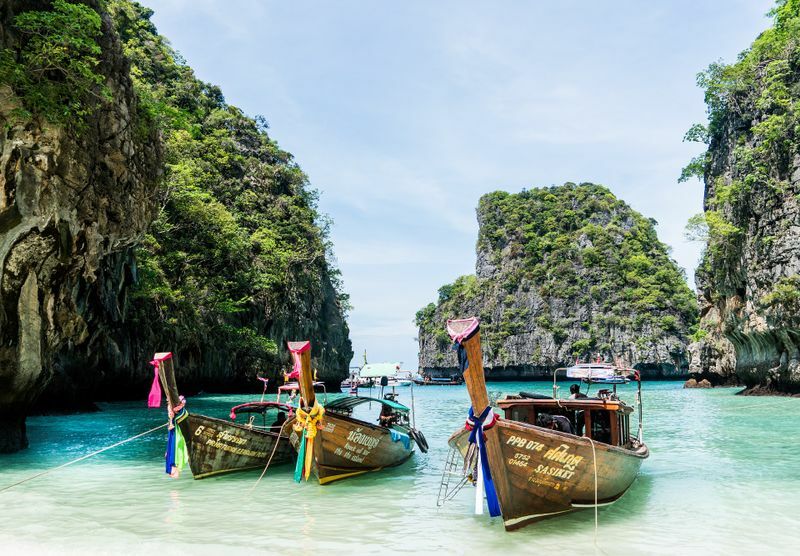 Thailand welcomes nearly 38 million visitors every year. They come to see a colorful combination of its majestic Buddhist temples and quaint villages surrounded by beautiful nature and pristine beaches all along its two coastlines. Thai people are quite spiritual and religion is part of their everyday lives. Theravada Buddhism is the foundation of their ideology, and the Tipitaka, which is considered to have the earliest surviving records of Buddha’s teachings, is the core of their values. They firmly believe in respect towards the elders and family always comes first. To increase this spiritual sensation, many yoga studios are decorated with flowers, incense, and Buddhist offerings. Family is very important for Thais, which creates this warm-hearted and welcoming atmosphere so distinctive of Thailand. Locals even have a greeting gesture called wai, where you clasp both hands in front of your chest (pretty much like the Anjari Mudra when we say Namaste). People are very friendly and laid back here so don’t be shy and do the wai back to those who cheerfully greet you on the streets. Thai culture is quite diverse and its territory has too many things to offer that it would be a shame not to have the full experience. It’s relatively easy (and cheap) to travel around Thailand, so you can take a few more days to explore other towns and cities after or before your yoga retreat. In addition, you can spice up your vacation (literally) with a couple of cooking classes where you’d learn more about the delicious Thai food; or you could try a Muay Thai lesson, Thailand’s national combat sport that, much like yoga, requires lots of mental and physical discipline; or take advantage of the beautiful beaches and join a yoga and surfing retreat. The climate in Thailand can be compared to India’s, which is ideal for yoga. Your muscles will stretch deeply and your joints will be lubricated thanks to the high temperature and humidity. You’ll also be sweating a lot, allowing your body to get rid of all toxins. Before you go, get some insiders’ tips from yoga bloggers who’ve fallen in love with Thailand. Thailand has Tropical weather and its monsoonal climate makes it humid and warm most of the year. However, you should still pay attention to the dry and wet seasons and they’re different in Northern and Southern Thailand. In the north, the dry occurs between November and May, making it the best time to visit Thailand for a yoga retreat. The wettest months are between May and October when the southwest monsoon brings heavy rainfall. The south region normally sees more storms than the north. On the west coast, the wet season occurs from April through October; and the east coast sees the most rain between September and December. Really, any destination in Thailand would make a great place to go on a yoga retreat. However, there are a few differences between the islands and the jungle. For example, Koh Samui and Koh Phangan offer more of a party vibe, with clubs, beach bars and restaurants all over the place. While the jungle and hillsides in the north, like Chiang Mai, have fewer crowds and it’s a more serene option for those looking for a culturally immersive experience. There are over 1,400 islands in Thailand, and Koh Samui is one of the largest. Nevertheless, in the 1970s, it wasn’t developed at all and was mostly a place to go trekking. Since then, it’s gone through an exponential growth that transformed it into one of the top exotic destinations in Southeast Asia. That isolated feeling remains though, which, combined with its green scenery and clear blue waters, makes it an idyllic place to find serenity on a short yoga trip or to concentrate for long periods of time and deepen your practice on a yoga teacher training in Thailand. Samui Airport (USM) is just 1.2 miles (2km) north of the main city. There’s also a ferry from Koh Phangan that takes about 45 minutes. Detox your body and mind on this 8-day “full body reset” retreat. Kickstart a new lifestyle with daily yoga classes, detox juices, raw and vegan food, and a conditioning program tailored for you by the experts at Visit Natural Detox Resort. 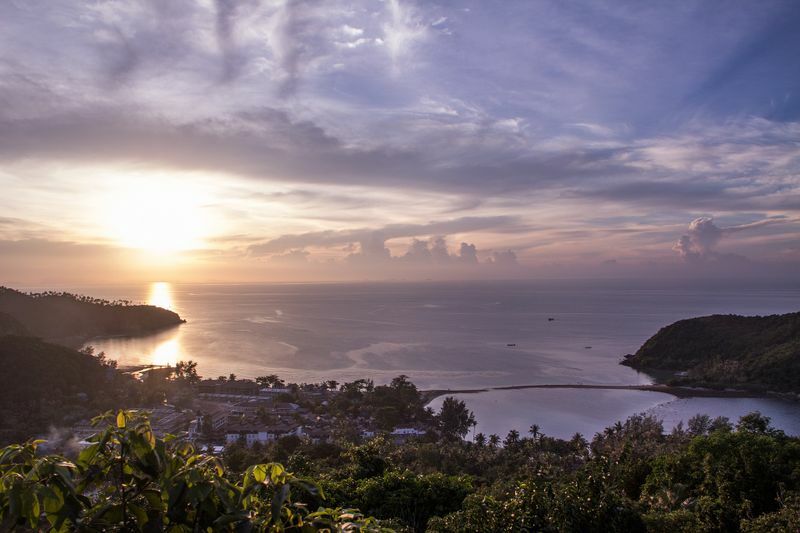 Located in the Gulf of Thailand just a few miles north of Koh Samui, Koh Phangan is a smaller island and probably the most popular one for a yoga retreat in the whole country. It offers a good balance between relaxation and partying. Its all-night full-moon parties have become famous worldwide, while its temples and beaches have all the harmony you need to find peace and do meditation. The Koh Phangan Airport was under construction, but in 2017 it stopped due to some irregularities. It doesn’t seem like there’s going to be a resolution soon, so, you’ll have to go through Samui Airport and then take the ferry. 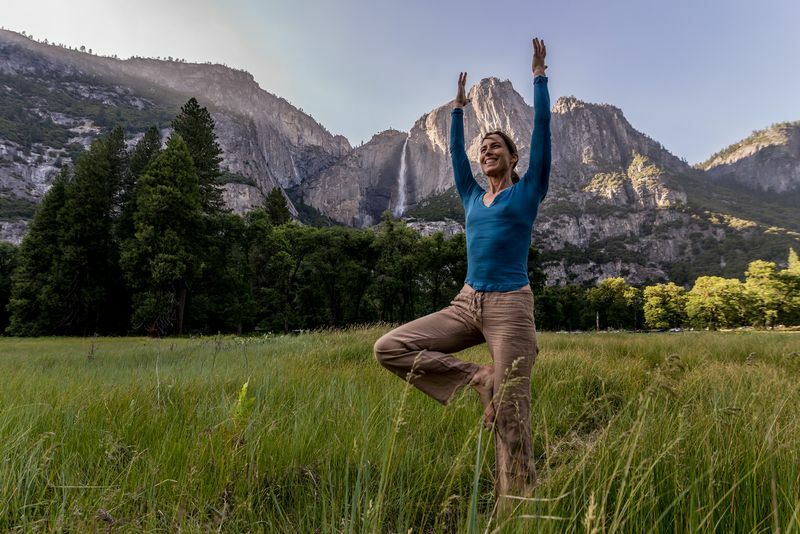 Learn a variety of yoga and meditation techniques on this 6-day multi-style retreat. If you like to move, this is for you; there’ll be music circles, dance meditation, and workshops based on conscious movement. 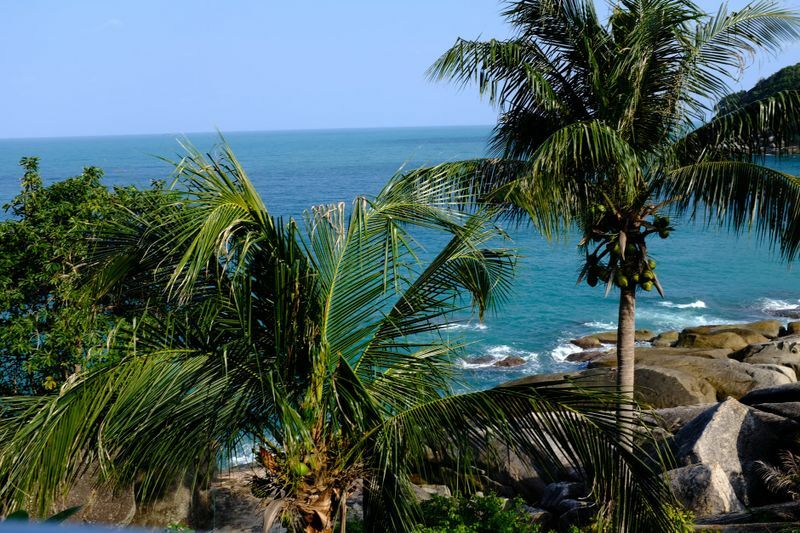 All the way south on the Andaman Coast, Phuket, the biggest island in Thailand, is home to lots of amazing resorts. With over 30 white-sand beaches, it was easy to find a good place for a yoga retreat. 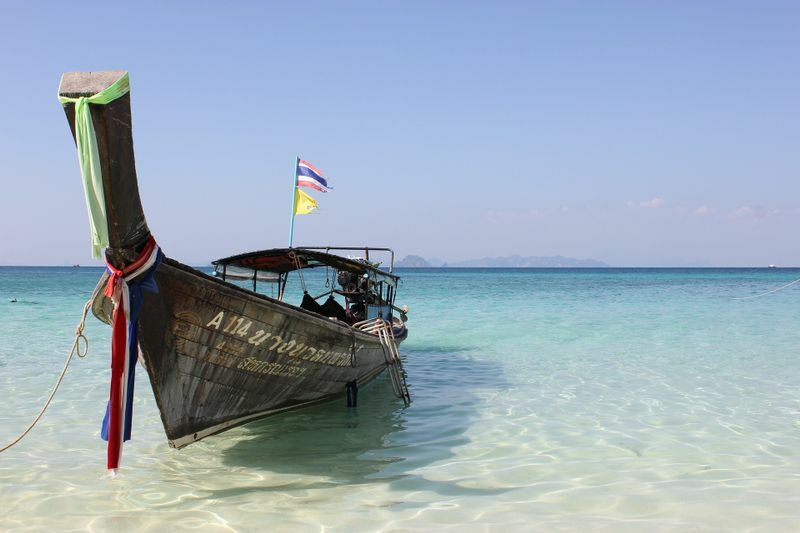 Kata, Patong and Karon beaches are the most popular ones, along with the Phi Phi Island and the famous Phang Nga Bay. Make sure to see the Wat Chalong temples and the big Buddha on top of the Nakkerd Hills. We also know that it’s not all asanas and meditation. If you’re looking to experience the vibrant nightlife of Phuket, the night markets and Bangla Road are a must. Phuket International Airport (HKT) is 20 miles (32km) away from the center of Phuket City. Being a resort paradise, you’ll find several transportation options from there to your retreat venue. The more active souls will enjoy this 5-day adventure holiday. Its program is packed with different activities for all tastes. From a martial arts class to an aerial yoga session to an hour of Thai massage, you’ll have plenty of things to do to make your trip even more memorable. 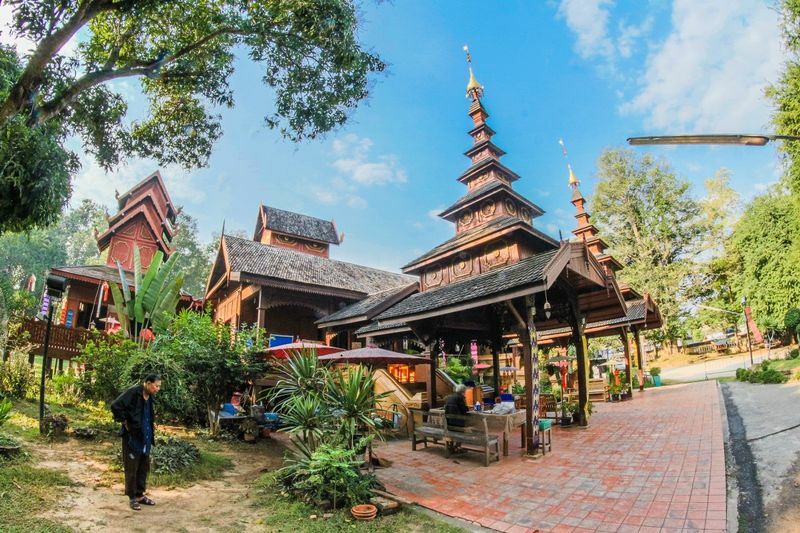 Located in the region of Northern Thailand, Chiang Mai is considered the cultural capital of the country. It was founded more than 7 centuries ago and it has over 300 ancient temples. Doi Suthep Temple is a must for yogis and all travelers alike; the view is amazing from there! The lack of beaches is well compensated by its mountains, rice fields and an inherent mystic vibe that makes you want to live like a true yogi. And if you want to experience a real Thai massage, Chiang Mai is where you have to be! No wonder why it’s called The Rose of the North. Chiang Mai International Airport (CNX) is the most important hub in Northern Thailand. It isn’t located too far from the city center – it should take you about 15 minutes by taxi. 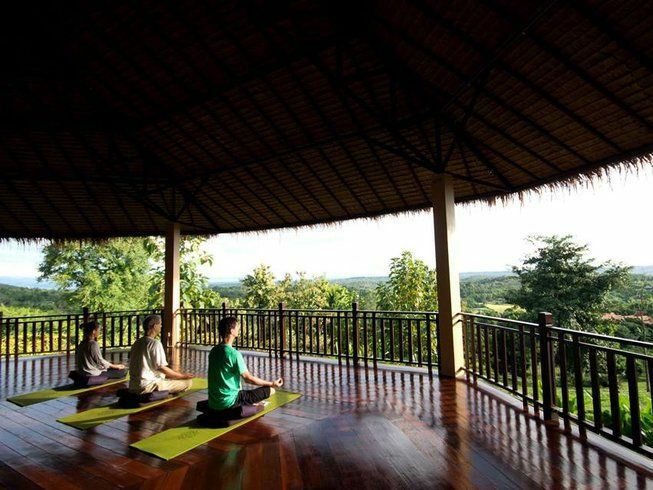 Recharge yourself and find clarity on this 6-day yoga retreat by AMAYEN Sanctuary. If you’re looking for a clearer picture of what you want in life, here you’ll have 5 visualization sessions, along with daily yoga classes to find inspiration and find your purpose. No Thailand guide would be completed without Bangkok. Located in Central Thailand, the capital of Thailand has such a dynamic vibe that attracts more visitors than any other city in the world. There are too many things to do here that a lifetime isn’t enough to see everything Bangkok has to offer. From riding the traditional tuk tuk to entering the ancient temples to experiencing its world-famous nightlife, this city has something for all tastes. And talking about tastes, make sure you eat as much Thai food as possible – seriously, stick to Thai food for all your meals, 3 times a day, every single day of your visit, don’t waste your time trying something else. You’ll miss it once you go back home. 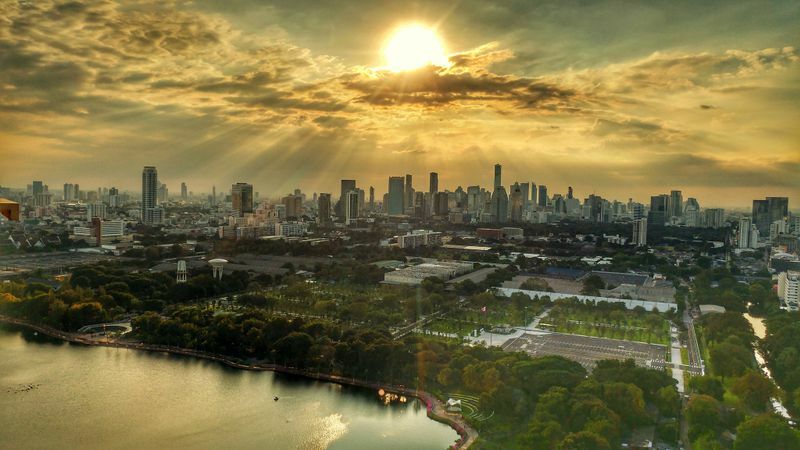 You have two international airports to arrive in Bangkok: Bangkok Airport or Suvarnabhumi (BKK) is the newer and more popular one, but if you’re traveling from certain countries in Asia, you can also opt for the older Don Mueang International Airport (DMK). There’s a free shuttle that runs between both airports and it takes 1-2 hours to transfer. 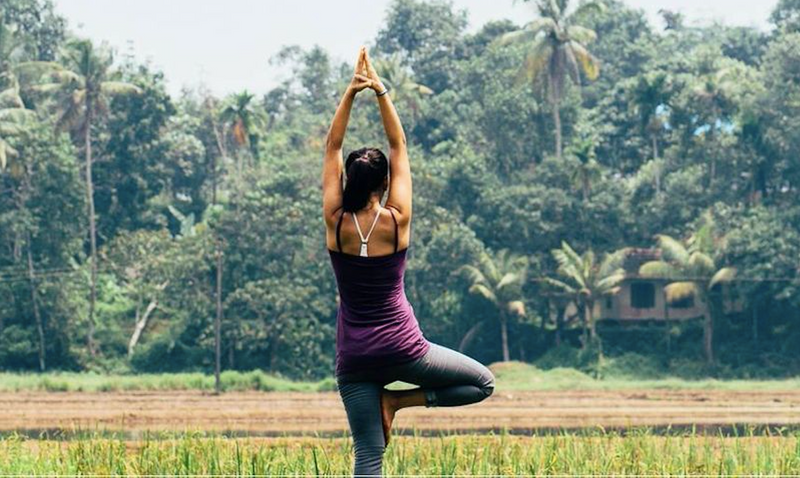 This 4-day mini-yoga & meditation retreat is perfect for those who just want to spend a few days in an eco-environment. In this short time, you’ll practice Hatha, Vinyasa and Yin and still be close to all the craziness of Bangkok. Previously known as Siam, Thailand gained its name in 1939 after former prime minister Phibun took power. He wanted to separate his people from Chinese influence and give Thais a unique identity. Interestingly enough, in 2018, Thailand received nearly 10 million Chinese visitors (the most by any country). It has five horizontal stripes, red, white and blue. Red for the people and land, white for its deep religious tradition, and blue for the king. Although it is said that the colors could have also been chosen to show support to Great Britain and France during the Great War! *Fun fact: The flag is designed so it can’t be flown upside down. As of 2018, around 69 million people live in Thailand. The official language is Thai, but English is spoken in most major cities and touristic regions. Most Thais are Buddhists. Around 93% of the population practice this religion. There’s also a small percentage of Muslims and Christians. The Thai Baht (THB) is the official currency. As of January 2019, one dollar is worth roughly 32 THB; one euro 36 THB; and one pound 41 THB. *Fun fact: Since the Thai language doesn’t have plural nouns, you should always use the singular form –baht. So, 1 baht, 2 baht, 3 baht, etc. (never bahts). Thailand uses 220V and the power outlets have both, 2-prong flat and round sockets. So, most Europeans and Americans won’t need a plug adapter. Longing to go but still saving money for your dream Thailand yoga trip? No problem, there are many affordable yoga retreats in Thailand! Alberto G. Güitrón is a writer and committed yoga practitioner. Heʼs a contributor at BookYogaRetreats.com and has been published on Huffington Post, The Wellness Universe, Yoga Matters, Bad Yogi, Do You Yoga, and other wellness and yoga related websites. He also published the novel El Sueño de Unos. Sign up for the BookYogaRetreats newsletter and get the latest news about exciting destinations and inspirational stories into your mailbox! One of the best things about Italy is that it’s not something you simply scratch off your bucket list. You can return to Italy again and again and still not have enough of this picturesque land and its delicious food, nor be bored with its history and culture. 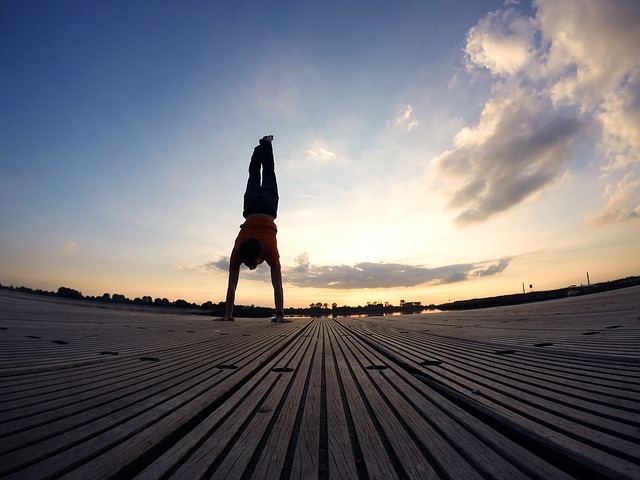 Many people tend to cringe when they hear the topic of inversions brought up. Going upside down can be really scary for a lot of people. This is understandable – we have to get comfortable with falling, which, let’s be honest, is probably going to happen a lot along the way. 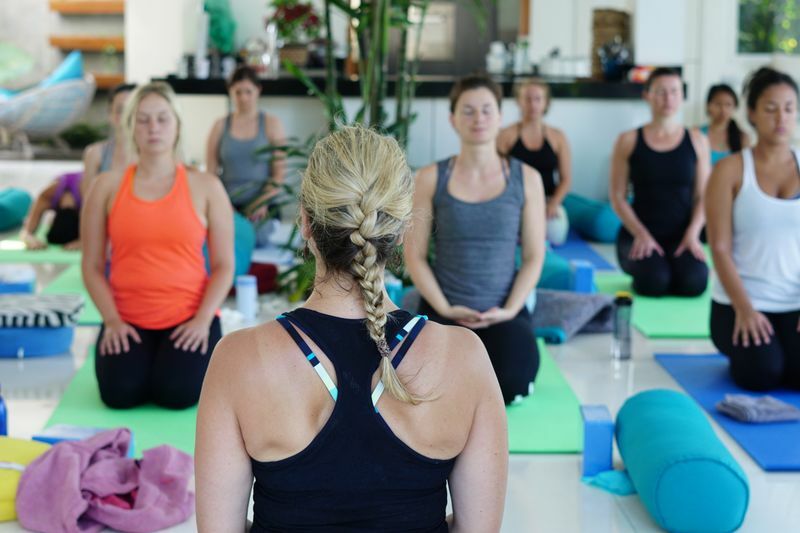 If you’re looking for your next yoga vacation, you’ve probably noticed that there are two types you can choose from: yoga holidays and yoga retreats. But, how are they different? Portugal is one of the most beautiful destinations in Europe for a yoga retreat. And while it’s a frequent choice for plenty of travelers, it’s also a hidden gem to others. Here’s a glimpse of what yoga in Portugal looks like and what the country has to offer. Thinking of a Yoga Retreat? We have the best deals and offers from 3031 organizers all over the world! Get them into your mailbox every week!